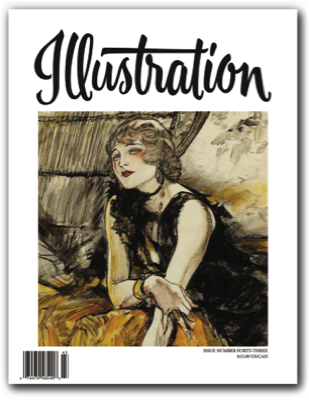 In this issue: The gorgeous work of Henry Patrick Raleigh. Our story features over 45 pages of spectacular illustrations, with all of the reproductions shot directly from original art. Rare photographs, tear sheets and more are shown. Next up we feature the work of Victor Kalin, whose inventive paperback covers of the 1950s and '60s are widely collected today. Book reviews, exhibitions and events, and more round out the issue. 80 pages. $15.00 U.S.